When it comes to the Internet of Things, there’s a gap between consumers knowing about it and using it. Fewer than a quarter (20%) of consumers feel they have a good understanding of what the Internet of Things is, but nearly three-quarters (69%) already own at least one IoT device, according to a survey of 1,000 U.S. adults conducted by Metova, an IoT solutions company. IoT devices owned include smart door locks, smart Bluetooth trackers, smart bike locks and trackers, connected smart kitchen devices, smart home apps, smart plugs, smart irrigation controllers, wireless home energy monitors and smart thermostats. There clearly is a lack of deep understanding from the consumer’s viewpoint. Almost a third (28%) say they never heard of the Internet of Things and about a third (32%) have heard of it but don’t really know what it is. However, there is a high degree of interest in IoT products. For example, 58% are somewhat or very interested in smart door locks, 57% in connected smart kitchen devices, 60% in smart plugs and 68% in smart thermostats. Consumers have heard about IoT devices mostly from TV or online news (43%) and TV or online commercials (41%). The good news for the industry is that there is desire, even if not a high degree of understanding. For example, 84% of consumers would like to be able to monitor their electricity, gas or water usage and cost in real time using a computer, tablet or mobile device. Most (84%) would even choose a utility provider over another if they provided such a service. As in most surveys related to IoT consumer viewpoint, the majority (63%) of consumers said they are concerned about privacy with the Internet of Things. 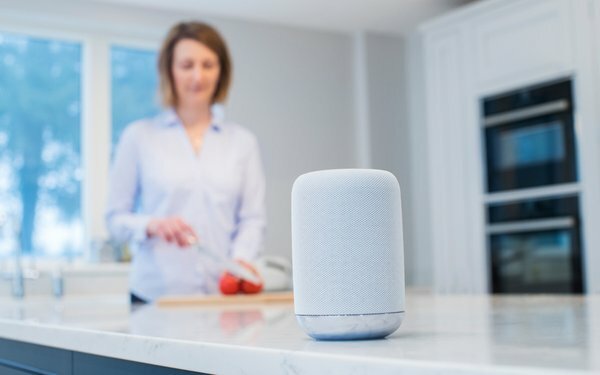 Consumers also are somewhat bullish about an IoT future, even if they don’t know the details of what it is: the majority (60%) said they all will have connected devices eventually. 4 comments about "The IoT Market Gap: Consumer Knowledge Low, Smart Device Ownership High". Doug Garnett from Protonik, LLC, August 30, 2018 at 2:28 p.m. This comes as no surprise to those of us who have worked with connected devices for along time (since the early 1990s). The devices on the market don't provide enough consumer value for them to fight the hassle of learning. While they are interested - it's probably motivated by the extreme hype of Amazon and the like. But their hype doesn't offer consumer value. Really, is turning the lights blue the most attractive possibility Amazon could offer from connections? IoT providers, though, get lost in the Sci Fi ozone and try to create a Star Trek future might have made good programming that drew viewers, but isn't that important in the here and now. Mark Westlake from GearBrain, August 30, 2018 at 5:52 p.m.
Good article. We know an educated buyer becomes a confident buyer of products. Th IoT manufactures need to educate consumers because they are confused. We live with this everyday at GearBrain! Chuck Martin from Chuck Martin replied, August 30, 2018 at 6:34 p.m. Right, Doug, and some of those items you mentioned, like home management, are leading desires in numerous studies. Chuck Martin from Chuck Martin replied, August 30, 2018 at 6:36 p.m. Thanks, Mark, that gap is real.